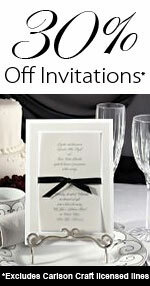 We have charming place card holders and photo frames that also serve as wedding favors that your guests will love! Not only do these direct your guests to their seating, they add a touch to your dinner table that reflects your theme and personality. These alone can serve as your table decor, as well as serve as your seating plans! If you're having open seating, then put different pictures of the happy couple in the lovely photo frames instead!